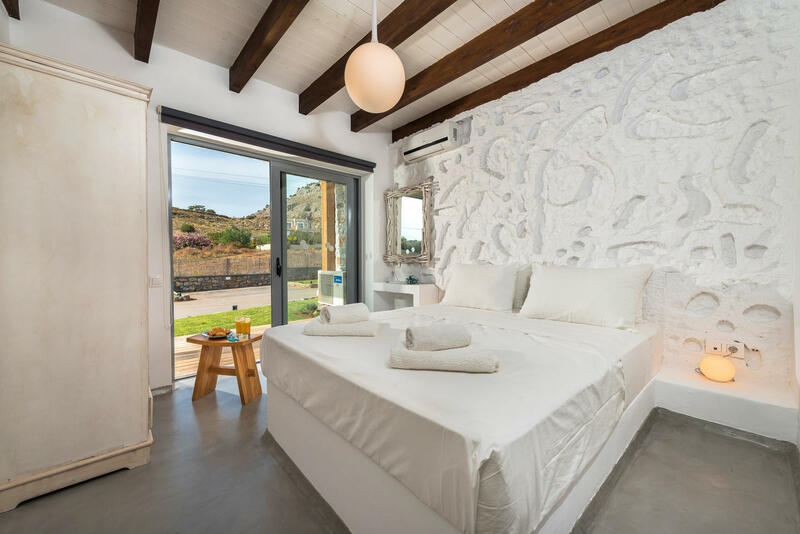 Lindos Seastone villas is a complex of 4 luxury beautiful designed villas in Rhodes, fully furnished and friendly to people with disabilities. Its located at Pefki village just 150m from the sea. Luxury, seclusion, tranquility and comfort co-exist harmoniously with the sea, sky and the magical landscape providing unique and unforgettable moments. A destination you will love and will provide you and your family of group of friends with unforgaable monents. All of the facilities are delivered to you with a high tech intelligent system that will make your accommodation one of a kind. Indoors, the villa has 3 bedrooms, 2 bathrooms and a living room. In the fully equipped kitchen you will find washing machines for your clothes and plates. All the facilities are fully air conditioned with free internet access, smart Tvs and security alarms for safety reasons. Outdoors of the building there is a magnificent garden which includes your own private swimming pool and a barbeque. For your comfort we provide 2 private parking spaces. *Please note that the property is Friendly to people with disabilities! These days Pefkos (which means pine tree in Greek) is a relaxed resort, which is both picturesque and incredibly hospitable. A popular destination with locals and tourists, Pefkos has managed to keep its friendly, laid-back atmosphere and offers a warm welcome to families, couples, groups of friends and single travellers. 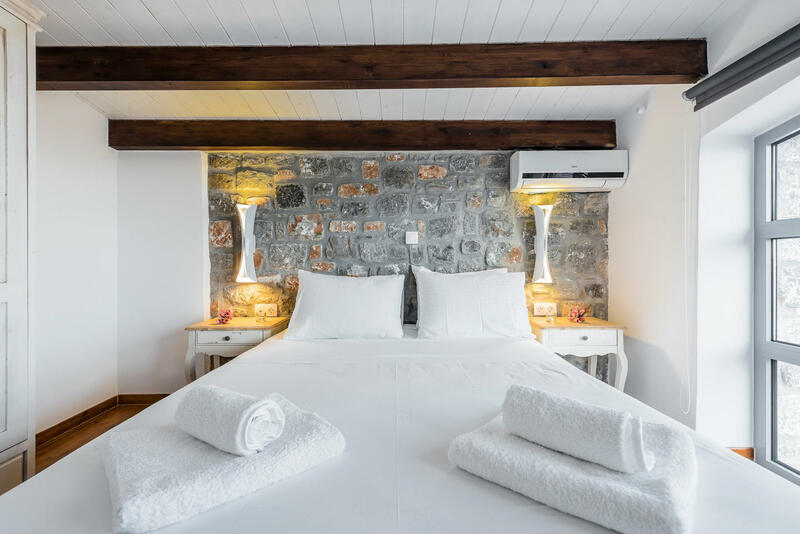 Most of the businesses in the area are run by local families which has helped Pefkos remain very true to its roots; offering facilities which are welcomed by holidaymakers but never losing its essential Greek atmosphere.